sylva phoenix 1.8 eunos turbo conversion build thread - Miata Turbo Forum - Boost cars, acquire cats. Thanks for all the advice I've received in the last few weeks. I have now put my money where my mouth is and bought about 80% of the parts required to convert my kit car to Mazda twin cam turbo power. 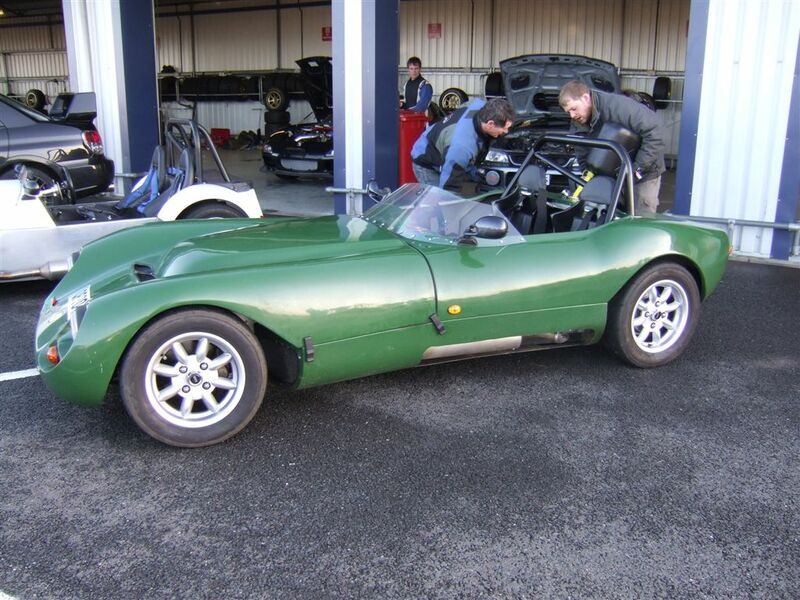 The project is a Sylva Phoenix kit car, currently powered by a ford 1600cc Xflow. It's fast, reliable, but the engine is too highly tuned and expensive to rebuild for my budget. I like the highly tuned bit, but I can't really enjoy the car as I'm too concerned about it blowing up again. The solution is to fit an extremely well designed and manufactured Japanese engine which happens to have a superb sump (oil pan) arrangement and a sweet shifting transmission (gearbox).Then strap a turbo to it. Result: 200whp in a car that weighs 550kg, wet. I have just driven half way across the country to buy a,'94 eunos v-spec for £440. Admittedly driving half way across England is roughly equivalent to the average commute in the US, but still, a good days driving. Volvo diesel tows well by the way. I have also bought an MS2 enhanced Ecu, innovate wideband lambda kit, intercooler (ford focus RS), oil cooler (generic 16 row mocal style), turbocharger td04 from a 2001 Wrx impreza, 380cc blue fuel injectors again from wrx, fuel pump also wrx impreza and ARP rod bolts, well that's it for now. So I have a huge amount of work to do, lots of parts and, as I've found out, a reliable source of help on this forum. Total budget for the conversion is £1500. I've spent £1100. The exhaust manifold (header) and exhaust will be designed by myself and fabricated with help from my colleagues at Rolls-Royce (no, not the cars, they're German now, I mean the jet engines). The next step is to remove the current engine which I've sold, and prepare the donor car by servicing it and ensuring everything works perfectly before I remove the engine and gearbox, sorry, transmission. My only question is concerning the clutch and flywheel. My current engine runs a 2.9kg spoked flywheel with AP sintered clutch. I'd love to find something similar for the miata/eunos. If you can help let me know. Tight budget though. So I'll try to update this thread whenever there's an interesting development. Sorry I can't upload photos just yet, my ip address is banned from tinypic, possibly because I'm using a cellphone. Please check out my user I'd if you want to see a beautiful car. Last edited by sylva_phoenix; 01-13-2013 at 08:56 PM. You can host images directly on this forum, but I've never tried it from a phone. Imgur.com has a decent mobile interface as wel IIRC. So much win in this project already, good luck man! How much did you sell your current engine for? Good luck and props for the nice car and fast progress. Wooo I'm excited to see how it turns out! The 380cc injectors might be at their limit at or just before the stated goal of 200whp at normal fuel pressure. They will probably make 200 gross hp without a problem. That's an attractive automobile. I'm certain you will have much fun with it! If you are interested in a lightweight flywheel, there are several options. In order of price and lightness, there is a dual plate clutch available from 949 Racing, an aluminum flywheel made by Fidanza, a lightweight chromoly steel alloy flywheel. With a couple of these options there are larger 1.8 flywheel/clutch assemblies or smaller diameter 1.6 parts, which can yield some rotational weight savings. With the very light 1200lb wet weight of your car the 1.6 size would be fine if the pressure plate and clutch you choose are strong enough. Dude that thing looks awesome. 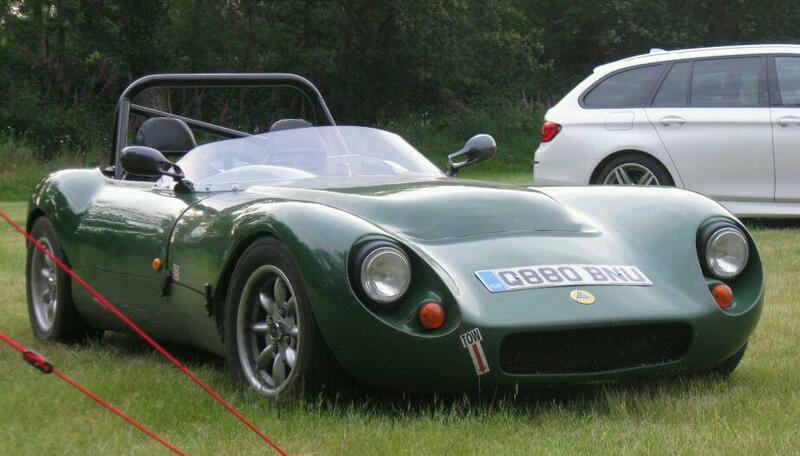 Sometimes I wish I lived in England just to get some of these awesome kit cars.....sometimes. Noob here, turbo NC project starts now.